Heavy metal contamination via mining activity is a serious problem around the world. 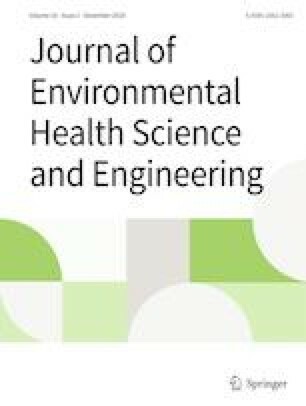 This study was conducted to evaluate the total non-cancer hazard quotient (THQ) and excess lifetime cancer risks of lead (Pb) and cadmium (Cd) to different population groups via soil, wheat and barley ingestion, soil-dermal contact, and inhalation soil particulates around Shahin mine located in Shazand County. Soil and plants were sampled randomly from 60 agricultural fields around Shahin mine. The samples Pb and Cd concentrations were determined using atomic absorption spectroscopy (AAS). The THQ and the excess lifetime cancer risks of Pb and Cd were estimated using the formulas suggested by the U.S. Environmental Protection Agency (USEPA). The Pb non-cancer risk for children (<6 years old) was assessed using the integrated exposure uptake bio-kinetic (IEUBK) model. The mean contents of Pb (234.47 mg kg−1) and Cd (1.89 mg kg−1) in soil samples were higher than the background values. The mean Pb and Cd concentrations in wheat grains were 0.44 and 0.23 μg g−1 respectively, which were about 6.5 and 5.8 times higher than that was observed in barley grains, respectively. The THQ of Pb and Cd for all groups were greater than 1. The excess lifetime cancer risks of Pb via wheat and barley consumption for all receptor groups were greater than 1 × 10−6. Crop ingestion and soil inhalation had the greatest and lowest portions to increase the THQ and excess lifetime cancer risks of Pb and Cd in the study region, respectively. We wish to thank Arak Branch, Islamic Azad University for supporting this research. Amirhossein Baghaie designed and performed the experiments. Amirhossein Baghaie and Forough Aghili analyzed the data and wrote and approved the final manuscript. Information of Agriculture- Jahad- Markazi. 2018. Available WWW. https://jkm.maj.ir. Evaluations of the Joint FAO/WHO Expert Committee on Food Additives (JECFA). (2016, June 2014). Retrieved from http://apps.who.int/food-additives-contaminants-jecfadatabase/search.aspx.